PM: I am so excited to have Lynnette Bonner with us this week for coffee! Lynnette has written so many books, both contemporary and historical, and I have been blessed to be able to read both genres and loved every moment of them! Thank you, Lynnette for taking the time to answer this nosy reader’s questions, lol! I just have to ask this, I am sure you get it a lot, but what is your favorite time period to write in, contemporary or historical? You are so good at both of them, I imagine this a hard one for you to answer! LB: Yes, it is hard. I enjoy both of them at different times, which is probably why I end up writing in both. My historicals take quite a bit more thought because it’s important for me to remove myself from our current time-period and ways of thinking and put myself into the characters’ time-period. 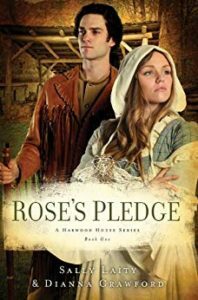 LB: I’m currently reading a historical called Rose’s Pledge by Sally Laity and Dianna Crawford. PM: I am sure your life is extremely busy with four children! When do you find the time to write? Where is your favorite place to write? LB: Admittedly, when they were all little it was much harder. I had a lot of years of only writing a bit here and there. But now they are all adults, except for my last, who is a sophomore in high school, so I have quite a bit more time. Homeschooling does take up a good deal of my mornings, but I tell people that everyone makes time to do the things they love. PM: Having been raised in Africa, what was your biggest ‘culture shock” upon arriving in the United States? LB: I think I would have to go by ages, with this. The first books I remember loving and reading for hours were Nancy Drew and Hardy Boys. That was when I was about eight. Then followed a phase of the Old Mother West Wind series by Thornton W. Burgess. Loved, loved, loved those books. In high school you would find me with my nose in one Christian romance book or another, but my favorites of those were the Zion books by the Thoenes. PM: If there was a news story about your life, what would the headline say? 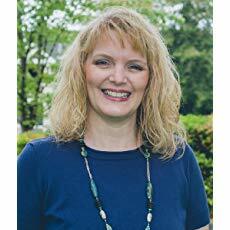 LB: Author Saved by Grace Hopes Others Experience Same. PM: Do you get to travel back to Africa a lot? LB: I do not. It is so expensive to travel to Africa. Thousands just for the tickets to get there, not to mention lodging and food on arrival. Raising four kids on a pastor’s salary has made it impossible to go back since I married in 1992. I’d love to go back on a mission’s trip someday. It just hasn’t happened yet. LB: Chocolate. Is there anything else? Speaking of which…it’s nearing Easter and those Cadbury Eggs in the purple bags? Yes! PM: What’s your favorite song? LB: This is difficult. I think right now I have two. They are both by Zach Williams. One is Fear is a Liar. The other is Chain Breaker. I choose these because of some things our family is going through right now. So thankful to have Jesus to cling to and share my concerns with. And his Word of Truth to stand on as a firm foundation. LB: My website is: https://www.lynnettebonner.com. They can also join my newsletter and get a free short romance called My Blue Havyn at https://www.lynnettebonner.com/newsletter. LB: I drink both and enjoy both. Most mornings it’s coffee with just cream, no sugar. My preference is with a little sugar, but I’ve been trying to cut way back on sugar and since I’m a chocoholic, I choose to get my intake of sugar that way instead of in my coffee. I drink tea, both hot and iced, at other times of the day. 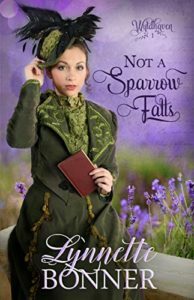 Lynnette is being so generous offering an ebook version of her Not A Sparrow Falls to one commenter on this post! Please comment here and tell us what your favorite childhood book was! Previous Coffee with Elaine Marie Cooper! Next Coffee with Elaine Stock ~*PLUS*~ a paperback Giveaway! Deejie–I’m not even sure that I’m spelling it correctly. It probably hasn’t been in print in 50 years. This does not sound familiar to me, Lisa, but now I want to investigate! I’ve never heard of that one! I’ll have to look it up. I love Dr. Seuss, Kim, I read them to my son all the time. Thanks for the memories! My favorite from before I could read was Pokey Little Puppy! I still love it! Oh, yes, I can remember that, Joan! Thank you for sharing! I had that one! 🙂 Those books with the golden spines, right? Pokey Little Puppy brings back memories! I also love Dr. Seuss books, I read them to my grandbabies. And the Golden books are wonderful. I have two grandbabies 1 & 2 years old and some Children books are very costly but I guess you can’t put a price on great books and love for Children! Yes, Dorothy, you are so right! I always try to make baby gifts books, as they are so important! Love your books! It is do refreshing to be able to read faith based books without cussing in them. And the life lessons are so inspiring. Thank you! I agree with you 100% Gail! I only read Christian Fiction anymore! Thank you! I’m always encouraged to hear from readers like you! My favorite books growing up were Nancy Drew books too! I’m not familiar with your books yet so I need to start somewhere, do you have a recommendation of one of your favorites? I loved the Nancy Drew series too, Mary! I loved Beyond the Waves for CCR and Not A Sparrow Falls for Historical books to start with of Lynnette’s! Those are great choices, Natalya, and really bring back good memories for me! Thank you for sharing! I didn’t read as a child. When I started becoming a reader, I was in my 20’s. My favorite book then (and still my favorite) is Pride and Prejudice by Jane Austen. I have read children’s books as an adult and I would say that The Mysterious Benedict Society Series is quite good so far! I have just finished book two and will begin book 3 in the near future. Highly recommend them to almost any child. (Any child that gets frightened very easily may need to have their parent read it first as there are bad guys, intense moments, and mild violence (fighting).) It’s an adventure book. So good! Thanks for sharing, Crystal! Personally I can never get enough of Pride and Prejudice either! Jane Austen is a classic for sure. Thanks for dropping by! The book I remember most from grade school is “Mr. Popper’s Penguins”. Oh how sweet, Dawn! I remember that book too! I recognize that title, but don’t think I’ve ever read that book. I will have to check it out. Thank you Paula and Lynnette! I enjoyed this article very much. I have some friends from South Africa. So I understand exactly what you are saying, Lynnette. They have two boys and one girl. The boys were born in Africa and had a really hard time adjusting over here. I enjoy your books and I have this one, so don’t count me in. I agree about needing so many frivolous things. I got caught up in all of that and now that I’m older I feel so foolish. We have gotten rid of so much that it’s embarrassing. Live and learn. Thank you for a little insight into your life. Bless you, Kathy and than you for sharing…your family sounds so wonderful! Hi Lynette, it’s great to have ‘met’ you through CIA and now here, plus we’re going to be roomies at Camp Nanowrimo next month! Although I was born in Scotland, I grew up from the age of 5 in Rhodesia (now Zimbabwe) and then came to Cape Town, S.Africa, to study nursing. That’s where I met my husband, and we have three South African “children” and three kids-in-law, plus 6 grandkids. Well done on your first one! They’re so special. Oh how fun, Shirley! That is so great! Wish I could meet you all in person! Thank you so much for stopping by…you two will have to give one anther a hug from me!